Cannabidiol (CBD) is gaining traction in medical circles and the public eye as increasing amounts of scientific literature confirm its medicinal qualities. These include CBD’s ability to stave off inflammation, curb anxiety, depression, PTSD, psychosis, and seizures. More astonishingly, and perhaps more urgently, CBD is proving to be a powerful anticancer agent (as recently acknowledged by the U.S. government’s National Cancer Institute). 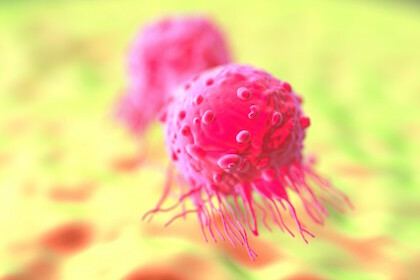 A paper published by the American Association for Cancer Research found that CBD inflicts programmed cell death (PCD) in breast cancer cells. “Breast cancer is the second leading cause of cancer-related death in women in the United States. Conventional treatment options are often limited by toxicity or acquired resistance, and novel agents are needed. We analyzed the effects of the Cannabis sativa constituent, cannabidiol (CBD), a potent, natural compound with reported activity in breast cancer cell lines, and elucidated its effects on key neoplastic pathways. If CBD continues to shine in the laboratory as research continues, it holds the potential to augment or replace conventional treatments, such as chemotherapy, which often cause significant harm to healthy cells and may catalyze undesirable and potentially devastating side effects. The authors of the paper explain that CBD coordinates apoptosis and autophagy, resulting in the death of breast cancer cells. Apoptosis (cell suicide) plays a vital role within our bodies. It is a form of cell death that facilitates the elimination of old and unhealthy cells without the release of harmful substances. Autophagy (cell recycling) is another normal physiological process by which the body breaks down unwanted cells. It maintains our homeostasis, or balance, by aiding the degradation of old cells and the formation of new ones.